Our mind is very powerful machine. It can process information beyond our imagination. Can our mind be tricked? Yes, Optical Illusion is one way where our mind gets tricked and it will make us see the things which either does not exist or the things which are different from reality. 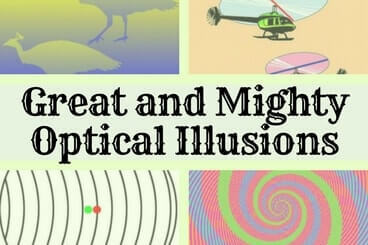 Here are very nice and interesting collection of optical illusions. Lets see how many of these Optical Illusions are able to trick your mind? It’s a simple one. How many pencils are there? There are clearly seven… what, wait! Six? No.. So how many? Can you count the number of Pencils? How many colors do you see? Most people see four colors: green, blue and 2 shades of pink. 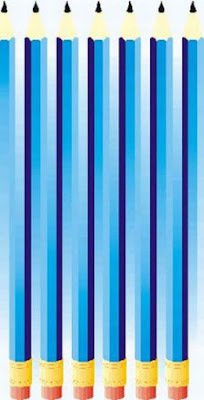 How many colors are there in this optical illusion? 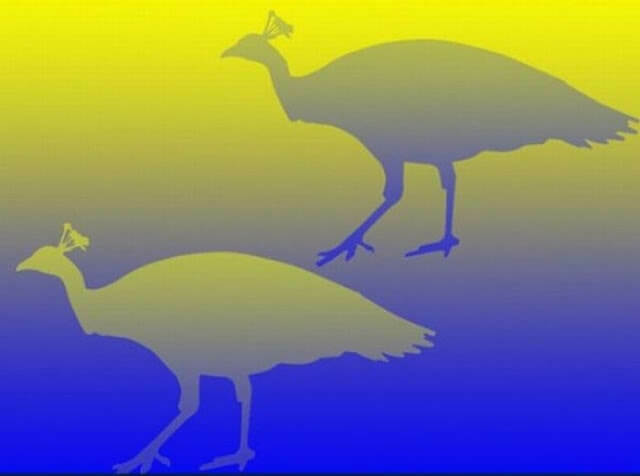 These two birds are identical, not only in size but in color too. Can you believe it!!! Can you see the color of birds is exactly same in this optical illusion? 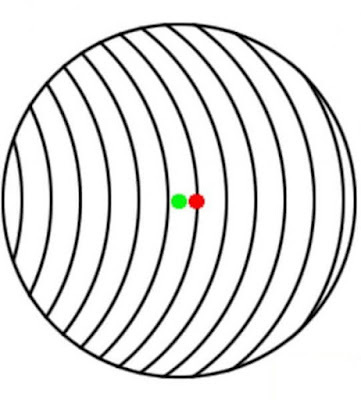 Which of these two dots is in the true center of the circle? 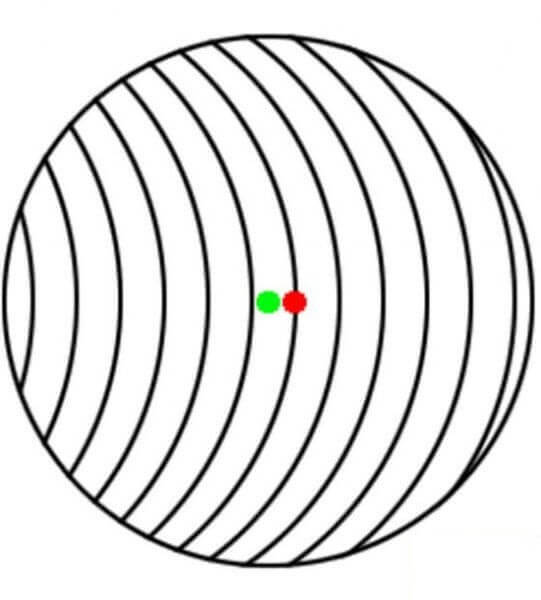 Which Dot is center of the Circle? Green or Red? 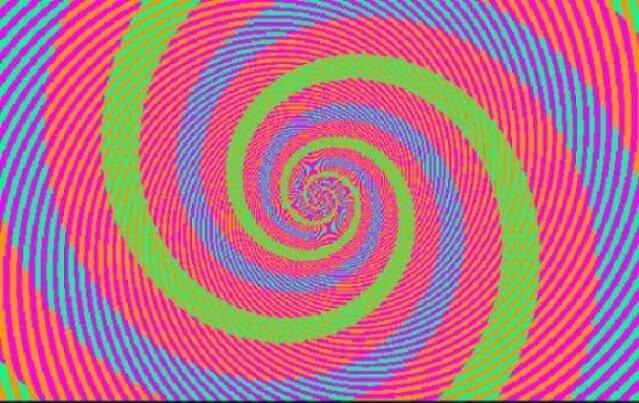 Answer to above Optical Illusion is Green is center. Do you believe it? If not, try to find it out and you will be surprised!!! Can you tell which of these lines is longer? Test them with a ruler or a piece of paper -- you may be surprised. 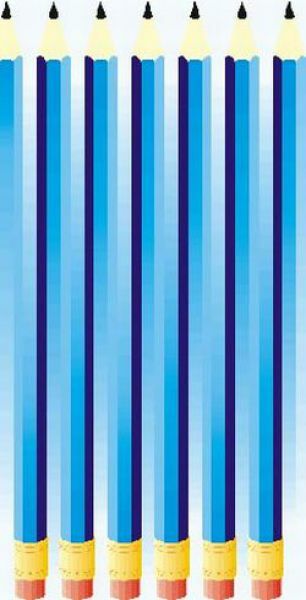 Which line is bigger in this optical Illusion? 1. 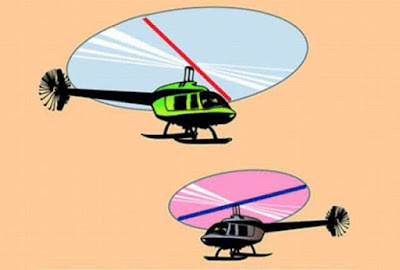 Nice and Simple Optical Illusions: It contains very nice yet simple optical illusions which will make you look again and again at the given pictures. 2. 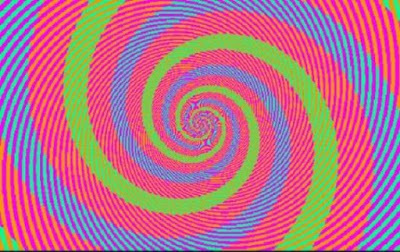 Brain Twisting Optical Illusion of Spinning Cat: This is one of best optical illusion, I have ever seen. This is a moving optical illusion. In this optical illusion, a cat is spinning. Your mind will be tricked to see this cat moving in clockwise or anti-clockwise at different point of time. 3. 3 Dimensional Paintings on Wall: Checkout 3 D painting which are in fact done on the wall with 2D graphics. However if we view these paintings from a specific angle then these paintings will look like 3 dimensional. 4. Picture Puzzles of Rotating Gears with Answers: After looking at all these Optical Illusions, now its time to solve some visual puzzles in which your challenge is to tell the direction of a particular gear when another connecting gear is moved in a specific direction.